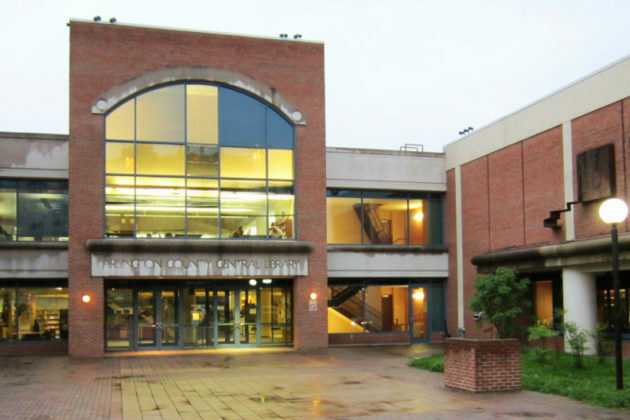 The County Board is moving closer to approving the first increase in the Arlington Public Library’s (APL) collections budget since 2014. The proposal is part of the FY2020 budget sketched out by County Manager Mark Schwartz, which allocates $300,000 to APL’s budget for books and other materials for rent. The Board expressed broad support for beefing up the library’s budget during a work session Tuesday. Together with APL Director Diane Kesh, Petruski told the Board that currently average hold times for an e-book are 38 weeks, but they are confident they can knock that down to 28 weeks. “If we directly go towards the most in-demand titles, more copies of them, into people’s hands… that’s how we getting that 10-week that drop,” replied Petruski. Director Kesh shared that the hold times for print books hover between 18 and 19 weeks, and that APL is “very hopeful” that the six-figure budget increase will help reduce that as well. Kesh also said the library would like to use the funding to buy extra copies of hot items, like Michelle Obama’s biography, which still has 300 holds. APL also wants to use the funds to roll out a new movie and documentary streaming service called “Kanopy” currently used in Alexandria and D.C. public libraries. The last fiscal year budget cut 17 percent from the collections budget — leading the library to remove free digital services like its audiobook streaming service and investment research tool in July. Schwartz previously forecasted up to $30 million more in county budget cuts this year, but proposed only $5.2 million due to some unexpected growth in real estate revenues and lower-than-expected employee healthcare costs. In a February letter about the proposed FY2020 budget Schwartz recommended using the county’s fortuitous finances to increase APL’s collection budget. “This really goes a long way towards addressing where we’ve been in the past and we’re very, very grateful for the support,” Kresh said to the Board Tuesday afternoon. 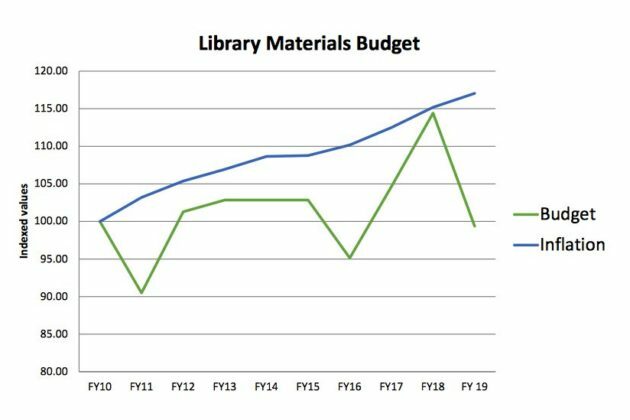 On Tuesday afternoon, Board members Katie Cristol and Eric Gutshall seemed to signal support for the budget increase by commending the library for its goals to reduce hold times and increase collections. The County Board will have until late April to amend the proposed county budget for the next fiscal year and is scheduled to vote on the final version on April 23.